Leigh Silverman, Susan Stroman, Sarna Lapine, Michelle Tattenbaum, Dan Knechtges and Baayork Lee. Violet tells the story of a young woman’s quest for beauty amidst the image-obsessed landscape of the 1960s. Facially disfigured in a childhood accident, Violet dreams of a miraculous transformation through the power of faith. Convinced that a televangelist in Oklahoma can heal her, she hops a Greyhound bus and starts the journey of a lifetime. In a blink, Emily's Harvard Square world falls apart. Her husband Koji suddenly embraces his Asian roots. Her friend Jeremy's work on his novel gets interrupted by a health scare and his sister Trish moving in. Four longtime friends face too much past and too little future in this moving new comedy. The songwriting team behind the smash-hit Tony Award-winning musical Dear Evan Hansen and the Academy Award-winning film La La Land, bring the classic 1983 movie to hilarious life on stage! Based on the perennial holiday movie favorite, A CHRISTMAS STORY, THE MUSICAL chronicles young and bespectacled Ralphie Parker as he schemes his way toward the holiday gift of his dreams, an official Red Ryder® Carbine-Action 200-Shot Range Model Air Rifle (“You’ll shoot your eye out kid!”). Ilana is proud to be named the Stage Director and Choreographer Foundation’s 2018 Mike Ockrent Fellow. Ilana worked with Tony Award-Winner Casey Nicholaw (Mean Girls, Book of Mormon, Drowsy Chaperone, Aladdin) on Broadway’s newest hit musical comedy, The Prom. 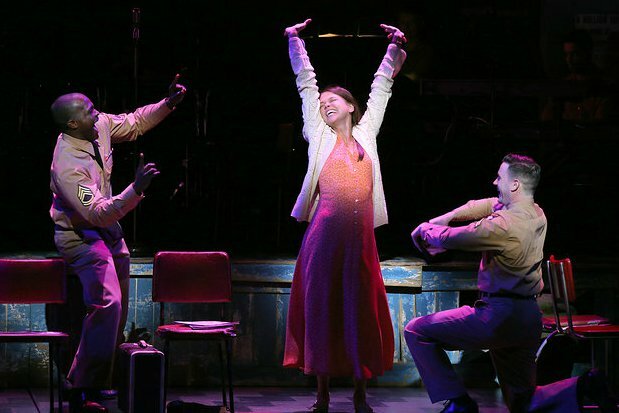 What happens when four stars leave the bright lights of Broadway and take leading roles in a small-town controversy making national headlines? Big drama. Bigger laughs. And the biggest musical showstopper in years! Starring Tony Award® nominee Brooks Ashmanskas (Something Rotten! ), Tony Award winner Beth Leavel (The Drowsy Chaperone) and two-time Tony Award nominee Christopher Sieber (Shrek) leading a cast of 27. A romantic comedy about the search for meaningful relationships in a culture dominated by the quest for popularity. When Jeff, a philosophy grad student, goes on a reality TV dating show to win back his ex, he instead finds a girl who might be the love of his life. But will she fall for him once he is seduced by the adulation of his fans?